The residents in Coconut Creek that travel back and forth every day from their home to work or school deserve to have a mechanic shop with top-notch technicians that will take care of their every need. Lucky for them, Tropical Performance is the shop they need! We provide several auto repair services, including oil change in Coconut Creek FL. Our goal is to keep your vehicle in working order. Although many useful and much-needed advancements have been made on vehicles over the past few decades, certain things stay true no matter what kind of car you have. For several auto repairs, the same methods have kept vehicles working for many years. Typically, taking your vehicle into a shop in Coconut Creek for an oil change should occur every 3000 to 5000 miles, or every 3 to 6 months depending on how frequently the car is being driven. 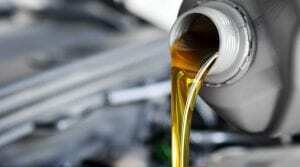 Which Type of Oil Does Your Vehicle Need? 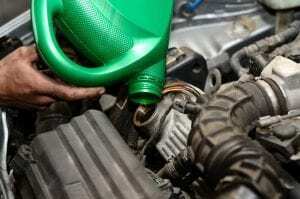 Depending on the type of vehicle you have, and the number of upgrades or amount of stress induced on the car, it’s a bit more difficult to say what kind of oil is needed. Conventional is just that; it’s a low-cost option for vehicles that don’t endure too much wear and tear. High Mileage is a great option for cars with over 75,000 miles on it. Synthetic blend is the perfect mix of protection and performance you won’t find with the conventional choice. Fully Synthetic is the best on the market offering the highest levels of stability, fuel economy, and performance. Keeping your engine in tip-top shape takes a lot of routine repairs over an extended period of having your vehicle. Our goal is to help those living in Coconut Creek maintain the integrity of their car at a reasonable price. If you need any more information, please give us a call at (954) 866-7490. We’re happy to assist you in any way you need!